Here's a solution to a problem I was trying to solve in Ruby. I wanted to create a 23 bit data structure, that would hold three values. A 14 bit year, a 4 bit month and a 5 bit day. Each of these bit sizes are the minimum number of bits required to support a maximum value of 9999 for years, 12 for months and 31 for days (with months and days optional - hence the custom data structure). Using the bitwise & operator, you can either mask (protect) or zero out bit values. And then using the bitwise | operator - you can turn bits back on. In Ruby you can create and manipulate binary literals directly using the 0b prefix. You can ignore the numerical result - 1030144. What we're interested in is whether 2012 has been placed in the 14 bit segment. The bits.to_s(2) command will print the number as a binary value - with leading 0s removed. If we pad this to our full 23 bits - it looks like our year has been placed in the correct segment. To set these bits, we applied a mask that zeroed out the year bits first. We have to zero out values every time we set a new value, otherwise the bitwise | operator will create a bit value that is the combination of the old and new values. We then left shifted the numerical value 2012 by 9 bits - to move it into place. Let's try and get our year out again. # => 1030528 # again ignore this number - it's meaningless. 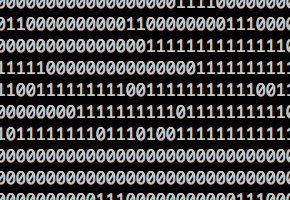 # is the binary value for 12. So far so good. But what do we do if we want to store this value in a meaningful (and ideally human readable) format someplace else? If we create helper methods for each of our bit operations, and then apply a little math - we can create an integer value for our stored date that looks like this: 20121203. And that's exactly what I did here - https://github.com/58bits/partial-date. I needed a solution for storing partial dates, where a complete date may be unknown, and I decided it was as good an opportunity as any for some bit twiddling in Ruby, allowing my date class to hold a single integer value as its backing store (and bit register), as well as only requiring a single column or attribute value in whatever persistance store is used if the complete date value needs to be saved.